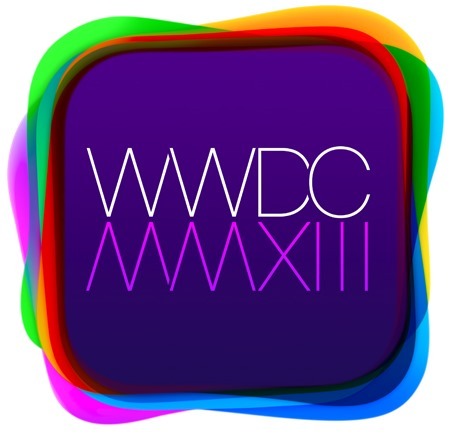 As we learned yesterday, WWDC 2013 will be held from June 10th to the 14th in San Fran, and for those interested in attending, tickets have just gone on sale. Priced at $1,599 a pop, these tickets sell like hotcakes, so if you want to be involved in what always turns out to be a very action-packed week in the Cupertino calendar, make sure you get in quickly. We fully expect to see what Apple has in store for its two major operating systems OS X and iOS, and although the former will probably be subject to a relatively incremental update akin to the Lion -> Mountain Lion transition, the world will be watching closely to witness the expected revamp of iOS with version 7. In the opinion of many, iOS 6 simply wasn’t good enough, and most of its new features – Do Not Disturb, Passbook and Maps – have been all-but ignored by a large proportion of users. With former iOS SVP Scott Forstall now out of the picture and Jony Ive now overseeing much of the software development process, iDevice users hold renewed hope that this time around, iOS will break from its rather stagnant state. For developers of both of these key platforms, WWDC’13 is the place to be. With hundreds of workshops and over a thousand Apple developers and engineers on the scene, it’s a great place for learning and discovering some of the key upcoming changes to software. As well as software though, recent reports have suggested we could be seeing an array of new hardware announcements in June. There’s been talk of an iPad 5 being built in the image of the iPad mini, a so-called iPhone 5S with a similar design to its would-be predecessor, as well as the formality of the Retina iPad mini. Whether or not these devices will indeed be announced in June or later on in the year remains to be seen, but along with the new software, I think it’s safe to say we will, at the very least, get one or two refreshes to the Mac range. Update X1: The tickets are all sold out, in a record time of under two minutes. Last year it took Apple 2 hours to sell out the whole event.